Never miss the big days again! 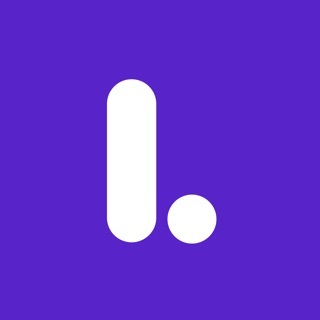 - Birthday Calendar +, the most popular app of its kind at the app store, is a simple way to keep track of any events and send personalized greetings. 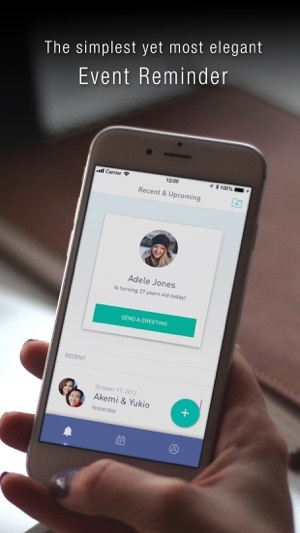 * Simply import events from your contacts, your iCalendar or just create any custom events. 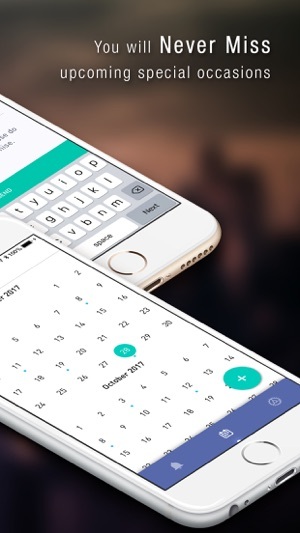 * Set up reminders and keep track of your upcoming events so you don't miss the big days. * Send your personal greetings for any occasions and add your own creative picture. * See your friends' Zodiac sign and learn more about their personalities. * See which historic events and celebrities share the same date with your friends’ birthdays. * View all of your events on a calendar view. * You switched devices? No problem. Simply backup your events. * FREE - Limited features and supported by advertisements. * UPGRADE - All features are enabled and advertisements are removed. If you have any questions or would like to give us suggestions, please contact our support team. Thank you for your support and don't forget to rate our app. Birthday Calendar + is better than ever! New and upgraded features. I got this app in January and I agree with the writers that say "don't waste your time" with other apps, because this is the one to get if you are looking for a good birthday etc reminder. I love this app. 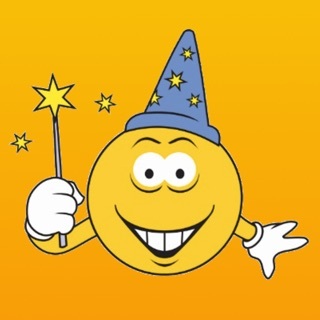 It is free and it is easy to use. 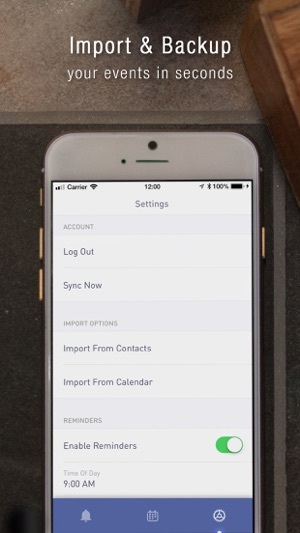 The app allows you to import from your address book, you must turn all of this on in "settings". You can sync Facebook too. I have not experienced problems with app crashing. The app offered .99 cents upgrade also to remove adds and i think something else. Worth the upgrade. The app tells how many days ,hours ,min ,and second ,before the birthday occurs. You can set (up to) a seven day reminder on the app, and if I need more time, I just set a reminder for x number of days on my iphone reminder app., and its even got a tag to choose "send a greeting" that can be emailed or posted on Facebook. It also gives Trivia stuff : what celeb. born on that day, and Historical events. Oh!! And you can customize labels other than birthdays or anniversaries e.g. (death,vacation,baptism, etc). How sweet is that!! I had this app for many years. And LOVED it because I could do so many creative designs and use it for many other uses. But I didn’t use it for a while because I just didn’t take the time to send out any cards from this app. So I tried to open it and got a message that I had to update from the developer. Never seen that happen before, (repurchase something in order to make it work) well I repurchased it and it wasn’t ANYTHING at all like the original purchase. I can’t do any creating at all. I have no card design to chose from no writing a text on the card, no designing of my own. I really have no use for this and I don’t like it at all. If you would restore it to the original design, I could give you an awesome rating, and share it with others as I did in the past. But not Like it is now. Also I did purchase the pro years ago but I can’t open it and I have to purchase it again. I’m glad I downloaded the free one to see what has changed. I will not pay for this again and would not buy it in this condition. You had something great but what happened??? 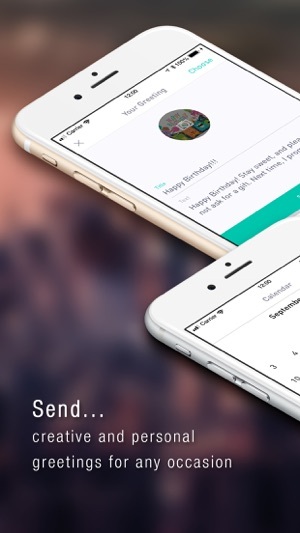 I have been looking for birthday calendar apps and tried a couple that didn't really satisfy me. Then i found this! I love this app! Neat organized UI and just does what it should. Adding occasions, birthdays anniv and you can add photos too, or import from facebook and voila! You have them all in ur calendar with these tiny profile pictures and cute little cake icon. Plus! You can actually view the person's page there's a link that takes u to their page where u can greet them or u can simply send them a virtual card with several ready-made greetings to choose from. Amazing!! 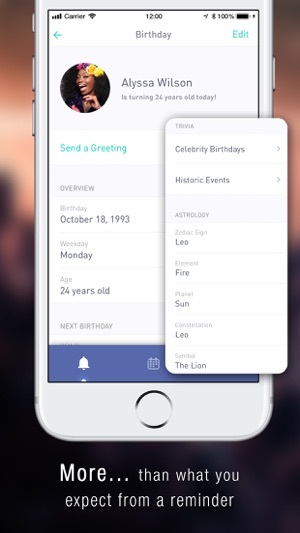 Also it has extra features that allow you to see which celebrities are celebrating their birthdays and historic events that occurred on that day too! No other app does that! So yeah, i love it!!! Get it now! !